This oversized candle adds a luxurious touch to room, providing abundant light from four wicks. 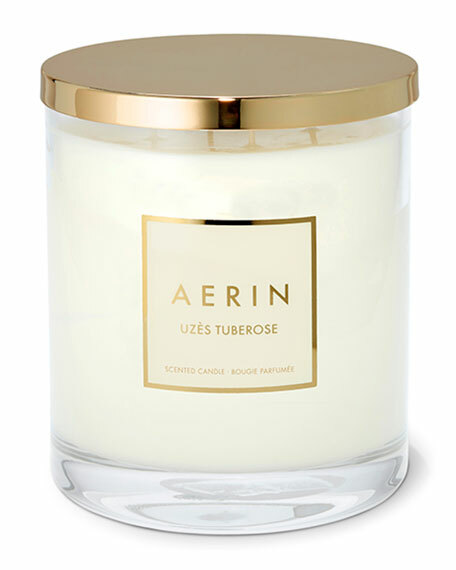 The cream candle comes in a glass vessel with brass lid and is available the alluring fragrance of AERIN Uzes Tuberose. It makes a beautiful gift and comes packaged in a cream box with gold foil. Glass vessel and brass lid.